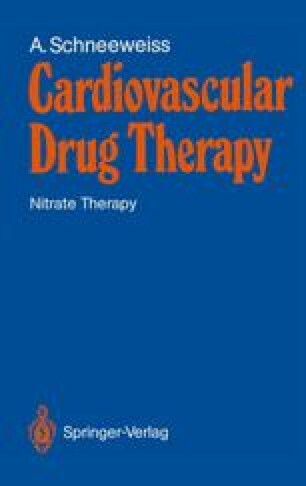 The original idea behind the development of transdermal delivery systems for nitrates was to avoid first-pass hepatic metabolism and to achieve constantly high plasma concentrations. The most widely used method is transdermal nitroglycerin patches. Nitroglycerin and ISDN ointments are also available. The increasing knowledge in the field has led to use of these delivery systems over less than 24 h continuously and to the development of new devices which do not provide a constant plasma level over long periods.